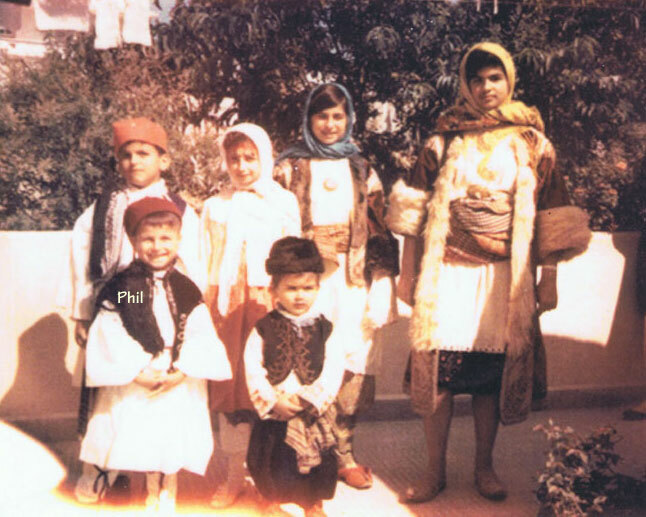 Raised in the small village of Gennadi, on the island of Rhodes, Greece, Renula taught her son Philip to cook. With the help of his theias (Renula and Vasilia), his Yia yias (Eleni and Tina) and his sisters (Eleni, Christina and Vasilia), Philip, the owner of Renula’s Greek Kitchen, learned the fine art of preparing traditional Rhodian fare. Philip states, “Having been lucky enough to watch my mother and my relatives work around the table in a make-shift assembly line, as they prepared all kinds of traditional Greek foods and pastries, was almost as much fun as was the chance to sample them when they came out of the oven!” As he got older his love for cooking grew. Phil honed his craft as he worked in kitchens and compared Greek foods from restaurants all over world. Philip says that cooking on holidays and for his family has become an almost mystical time for him as he feels it connects him with family and the traditions of long ago. All one need do is to try Phil’s incredible dolmades (stuffed grape leaves) to experience Rhodes as well as the quality and the love that Phil puts into everything he makes.